A great opportunity to own your own little mini farm. 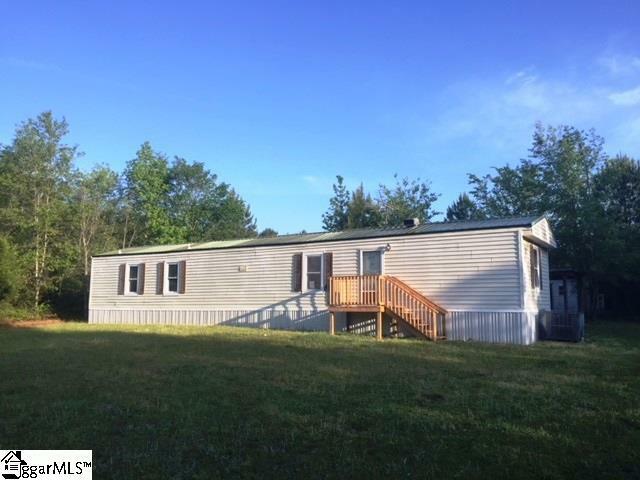 This remodeled 2BR, 2BA single wide sits on 6 acres and is in move-in condition and features central heating/cooling, vinyl replacement windows, large deck, new paint, new flooring and new range. There is a detached 1-car carport and two metal storage buildings and a dog pen that will remain with the property. Located just a few miles from Lake Greenwood, this property is affordable and offers you the space to roam!